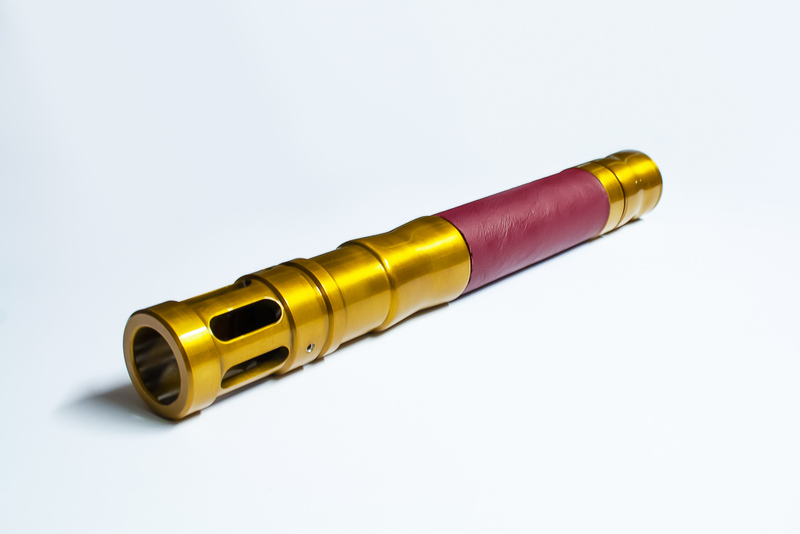 The core goal of Saberdyne Industries as it is today is to match people with their ideal custom saber. 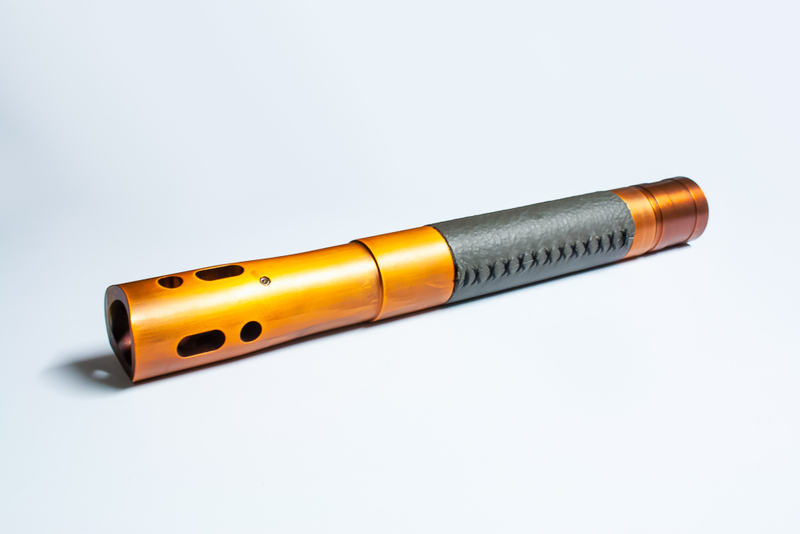 We have a range of hilt styles available - all initially machined out of aircraft-grade aluminium alloy - that can be plated with almost any metal finish that you can imagine. Select an LED colour from the list provided and contact us to discuss your perfect saber and put in an order. Hand-crafted and well balanced for tosses, the Warthog is the favoured saber of the Sons and Saberdyne owner, Luke Boyton. Stocky, strong, with a hilt that sits firmly in the palm of your hand, the Hurricane is the go-to for spin routines. One of our most popular models, the Spitfire's flared shroud lends itself well to palm spins. Evenly spaced shroud windows show the blade light and give this hilt a more decorative touch. Added to our range late 2017, the Vampire features patterned windows stylised after prime set pieces from the Star Wars movie franchise. Stylised after Luke Skywalker's first lightsaber, the Mustang is often the first choice for anyone looking for a more authentic show saber. Originally prototyped in 2017 with a ribbed handle and later released with the current build, the Tempest is relatively new to our range. Styled windows and a curved shroud bring an elegant touch to this otherwise simple saber. Hilt customisation continues beyond just choosing your model! While Saberdyne Industries hilts are all made from the same aircraft grade alloy, sometimes raw aluminium just isn't the look you're going for. Looking for a saber that is matte black?The perfect aged brass to pull a steampunk costume together? Swamp-thing levels of fluorescent green? There are plating options for all of these and more! We have access to over 150 plating and metal finish options via Astor Metal Finishes in Sydney. Some of the most popular finishes so far have been aged copper, chrome, and black nickel - and for each of these there are further matte/brush/polishing options. Contact us to discuss the ideal look and feel of your saber and we will work to match you with the right plating option for you! If you're interested in seeing more of the Astor Metal Finishes range you can find them online via the links below! We have a range of wrap options available and are always open to requests for specific materials or styles. We currently have two team members specialising in saber wraps, both of whom bring their own flare to saber design (check out some examples in the attached gallery). If you're looking for a specific style of wrap, Susan from The Eclectic Seamstress can match you with your dream material! In the past this has included Stingray, Snake and Warthog leathers, as well as a range of different colours and stitching patterns across the range. If you're looking for a wrap with a more specific sense of character to it, Lei from Tristone Crafts creates outstanding hand-tooled and painted leather wraps designed to fit our Saberdyne hilts. A basic design from Lei starts from $50, and in the case of his more unique painted pieces can range up to $300. A selection of Custom sabers done for celebrities we have met! Tooled Leather Art by Lei. 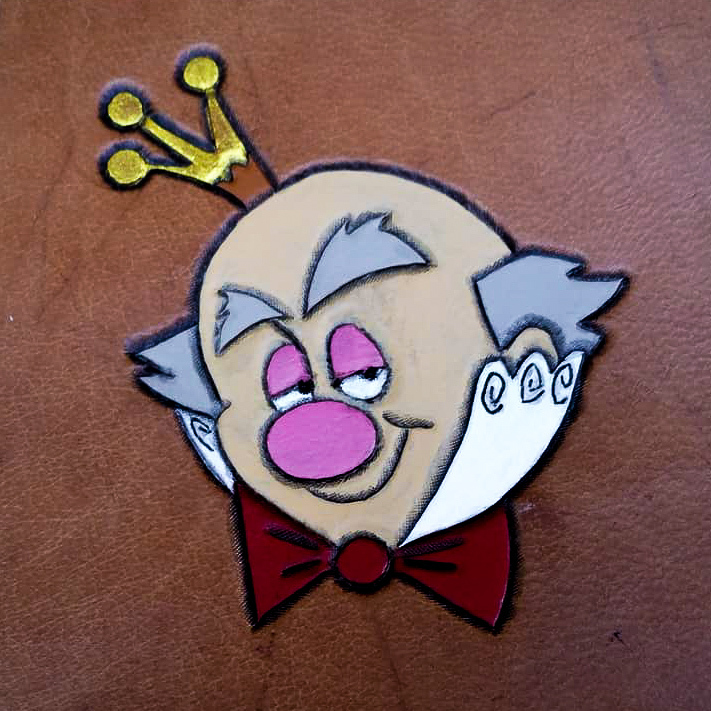 Painted leather art by Lei. Tooled leather art, Chewbacca-themed, by Lei. Tooled leather art by Lei, gifted to Marvel’s Stan Lee. Jedi and Sith codes tooled into leather wraps by Lei. Let's talk plating and hilt wraps - tell us about your ideal look and we'll match you with the best plating option. If you want a custom leather art wrap from Lei let us know here about your design ideas and we'll get a quote from him on your design. We’ll field your order and get back to you shortly to discuss the prospective delivery date.